Well, fitted the Quick Shift bracket today. Took me longer than it should have - about 1.5 hrs. Probably about a half hour job if you do it right, and maybe less if you use a hoist. I used ramps, and that made access a little difficult. Thanks to whoever it was who suggested bricks to get the car on the ramps without hitting the spoiler - worked a treat. The Quick Shift is quite cunning - it actually extends the existing bracket, rather than replacing it. Basically you just pop the ball joint of the end of the OEM bracket, then attach the socket to the ball on the QuickShift bracket. Then you use the clamping arrangement on the other end of the Quickshift bracket to clamp it to the ball on the end of the OEM bracket - thus effectively extending the OEM bracket a few inches. So, how is it? Well, the shift is now bloody short - it feels like about 1cm of throw into each gear, although it must be more. I'll try and measure it and report. I feel it may be too short, but there are 2 other holes I can try the ball joint in which should change it. I think the ball joint can probably be moved without removing the bracket again. 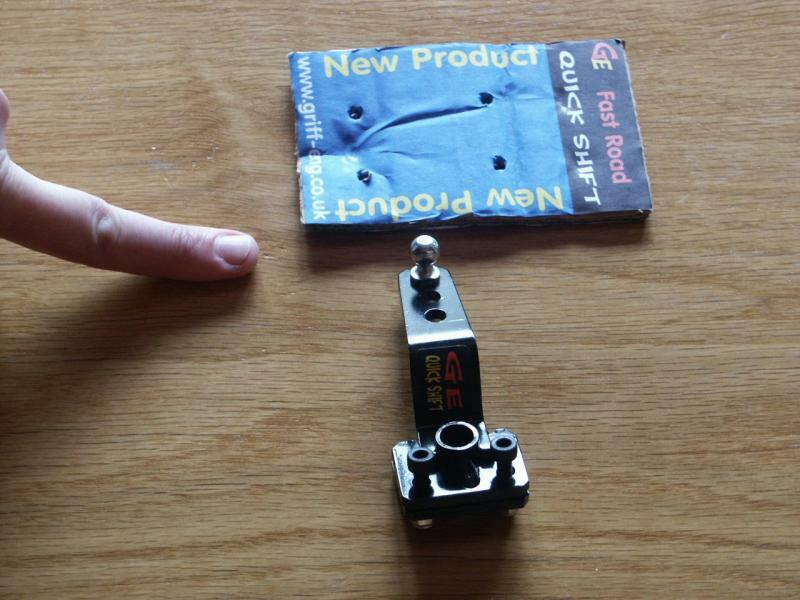 4.5mm Allen key (The Quickshift unit comes with small Allen-head bolts). 8mm socket, extender and speed bar (I used my mini Sidchrome set for this, as the access is tight). This is for the nuts on the other end of the bolts. Claw hammer. I used this as a makeshift ball joint separator - the head on my hammer was exactly the right size, although it was a bit difficult getting the hammer in there! Torch. I used a mini-Maglite held in my teeth to see what I was doing for the trickier bits. 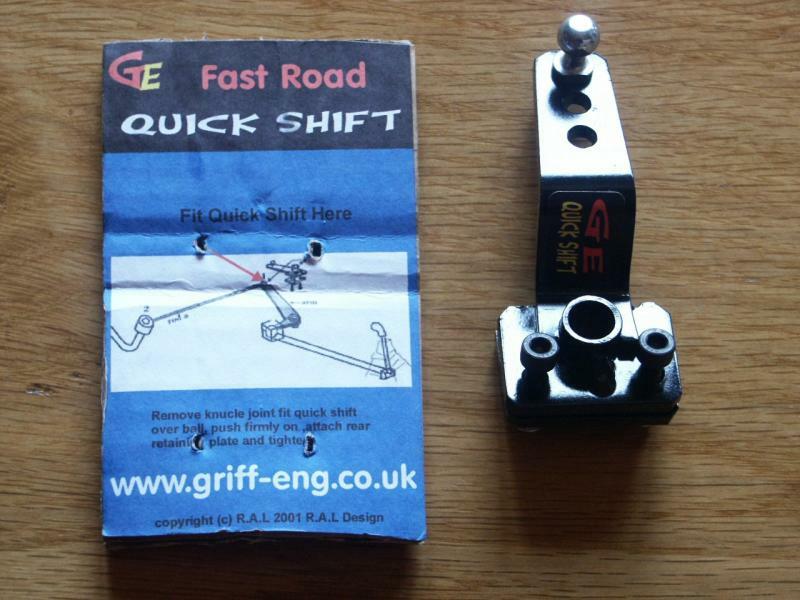 Here's a pic of the Quickshift kit, and one of the instruction diagram. I tried to use my finger to show scale, but the perspective kind of screws that up! At any rate, it's fairly small.